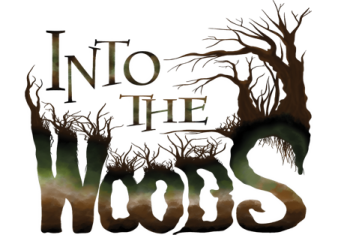 In the musical Into the Woods, Act One merges the stories of several fairy tales (Cinderella, Rapunzel, Little Red Riding Hood, Jack and the Beanstalk) and their happy endings. But that's not really the end. Like in the play, in real life that "happy ending" is really just a beginning. What about what happens next? In my musical example, Act Two of Into the Woods picks up where the fantasy happy ending leaves off. The princes reprise their song "Agony," but this time with real life domestic woes, not their earlier pining after unattainable princesses. It's real life now. All of us here on this blog want the writers' life. That's our fairy tale. We're all at different stages of living it -- and personally I'm having a ball -- yet I can safely say none of us are living the fantasy life of the writer as envisioned in the movies. (Well, maybe Juliet.) I love the TV show Castle, but when does that guy every write? 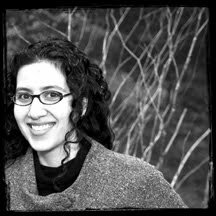 If we want to succeed in writing as well as in our lives beyond, we have to accept that sacrifices are necessary -- the first of which is letting go of the idea that being a writer is a glamorous life that with a little talent doesn't take much work. Getting what we always wanted is a dream come true, but it's not quite the fantasy one might imagine. It takes more discipline than I ever thought I had in me. I first started taking writing seriously in 2007, so that's when I started learning about the business side of writing: how many books authors write per year; how much money they make; how one promotes oneself; etc. And you know what? In spite of all the surprising things I learned, I can't imagine giving it up. I've given up sleeping in, but being addicted to caffeine is a small price to pay for the real life fantasy I'm living. I'm heading to the Bouchercon mystery convention today, where I'm looking forward to talking shop with other writers as well as discovering new authors to get excited about. I'll be the dark-haired girl with a cup of strong coffee in my hand but a smile on my face. I love Castle, and I've always said the same thing. When the hell does he write? Not that it would make for a riveting scene...wait,who am I kidding? I would watch Nathan Fillian do anything, even silently type for an hour. Have you noticed how short the Castle books are? Probably 60K words. One a year? He could write for five minutes every morning while he waits for phone calls from Beckett and get that done. Okay, maybe ten minutes. And then he gets paid Serious Money for the result. It's a good fantasy. I think we all approve. have you not watched the first episode of this season??? He wrote during the show's hiatus!! They mentioned briefly that he's taken the summer off. See? Simple. You write while your children are home from school. Evalyn, don't forget not only was the book written over the summer, but it was also edited and published in those twelve weeks. best of luck and many happy sequels to all the pens!!!! Thank you! But who am I kidding: I'm not nearly as disciplined as Lisa to write on down-time breaks at Bouchercon. But it was a blast!